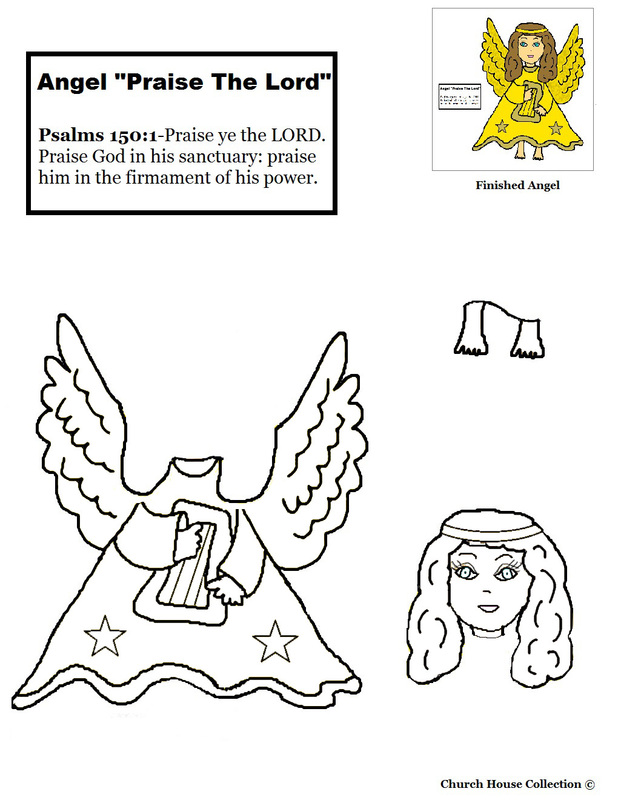 This is an easy activity sheet for kids to do in Children's Church or Sunday school class. Just print this sheet and have them use crayons or makers to color the angel first. Let them use some glitter paint to put on her wings. Cut out the head, feet, body and the square with words in it. Glue this down on black construction paper. 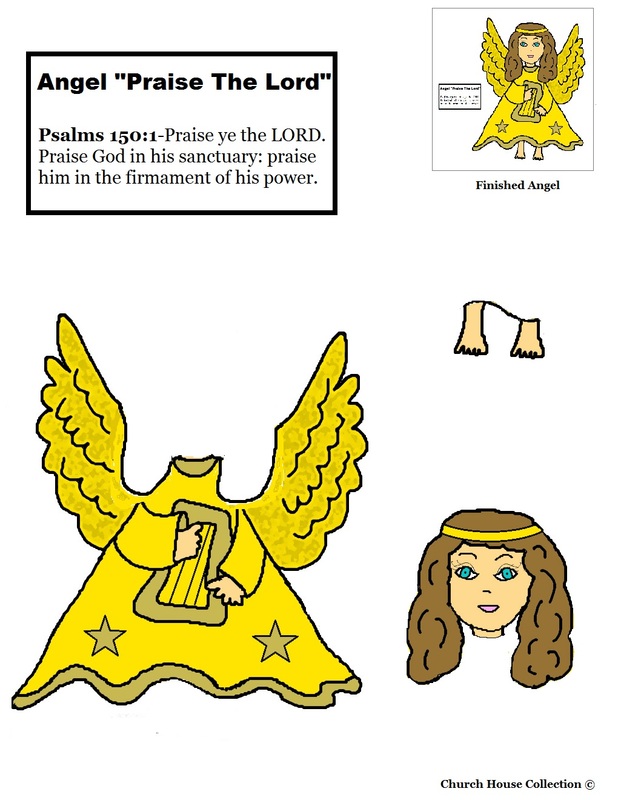 You could add small gold stickers all over the paper or have the kids draw stars on with a yellow crayon. Grab a hole punch a put a hole in the top of the construction paper and run some yarn through. Tie in knot. Hang up somewhere to display their work.